High tensile steel main frame. All wheels steerable automatically or manually. 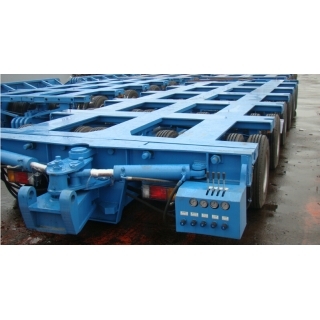 Hydraulic axle(suspension) adapt uneven road condition. Lifting cylinder make trailer automatically responds tough road conditions. Safety valve in hydraulic circuit. Brake air tank ensure immediate brake. Pendular axle and suspension easy for maintenance. Pneumatic and hydraulic quick coupling. 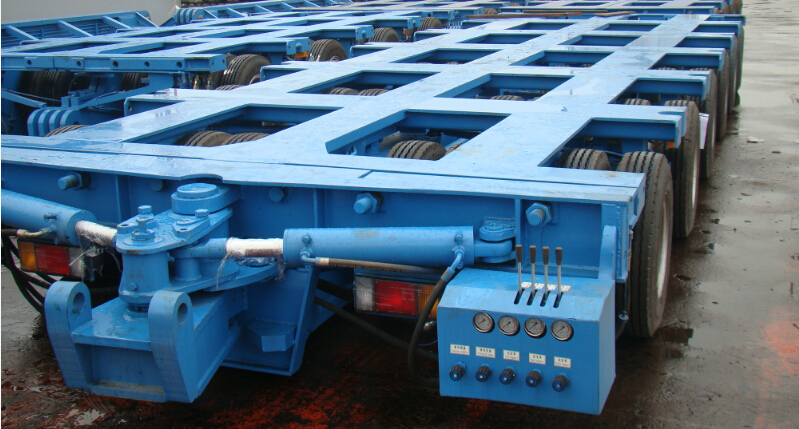 Modules connecting pin adopts hydraulic cylinder make longitudinal coupling fast. Dual-circuit hydraulic system guarantee safe work condition. End by end combination and side by side combination of each module are available. Small turning radius, 55° steering angle with hydraulic gooseneck. Transport equipment such as steel structure, power generator, transformer, gas turbine, steam turbines, windmill in power, petroleum and other industries.